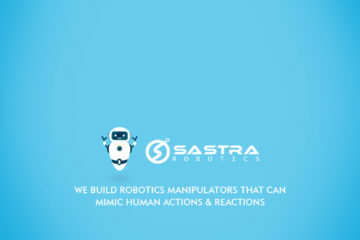 At TechStory we are currently doing a series on Robotics. We are talking about how robots going to be more omnipresent in the future and how they are making waves right now. In this segment, we are talking about up and coming robotics startups in the country. These different startups have look at robotics through a different perspective and have found their niche. 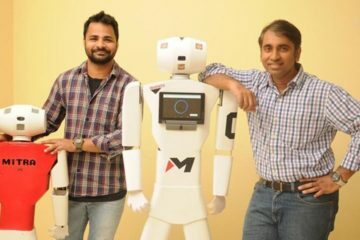 The Indian robotics startup ecosystem has now found their specialization and the industry is getting the consumer market it deserves. 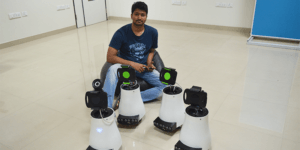 In today’s article, we will be talking about a company named founded by Dr. Myshkin Ingawale and will be throwing special limelight on the robot they make that goes by the name i2u2. With the advent of the world becoming a “global village”, people are getting out of their hometown in order for better career opportunities or just start life afresh in a new geography. With people being more connected than ever before through the internet, taking such decisions of moving away is not as daunting as it may same. Home is just a video call away, isn’t it? But with families and friends becoming more nuclear a fragmented as they move further apart physically, video and telephonic conversations are proving to be not enough. Maybe the seniors of the home are not technologically fully-ables or maybe the children are too impatient or restless. There is a certain void in what we call digital communication. And because of this void that hasn’t been addressed Dr Myshkin Ingawale came up with the i2U2 robot. Imagine this, you live with your parents who are now aged and cannot be left on their own devices in the house. But you do need t go to work every day and need someone who is there- physically and mentally present for you at all times. So you just switch in your i2u2 robot, you wake up and becomes a mobile, machine version of you to keep a look at the house and parents when you are away at work. In simple terms, the i2u2 is a telepresence robot which can be operated using a PC, tablet or any mobile device via an app that requires an internet connection. It is video calling and security but taken a step further. “A major distinction from a pure video calling solution like skype or facetime is that the user ‘ dialling in’ has full control of both video and mobility of the device (the robot) in the house. For all intents and purposes, the robot in the house is the alter-ego of the user dialling in and a more natural representation of that family member in the house. 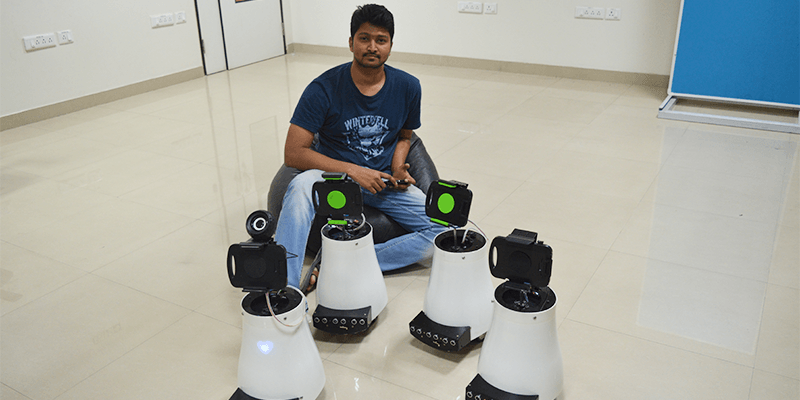 The user can freely move the robot around different rooms, ‘see’ and be ‘be seen’ and have as natural a conversation as possible with other family members”, says Aman. The robot has features like auto answer, people detection, fall avoidance, voice feedback and on-screen controls which make it user-friendly for both – the remote user (who is using the app) and the in-house user(who is with the robot). Thus no matter how the house is structured, stairs, bumps, rough tiling, the i2u2 is programmed to navigate efficiently. 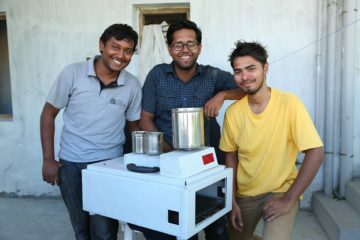 Ingawale started the venture in 2015 and took half a year to get the prototype going and then things accelerated faster than one would expect. He made the full product within 9 months and was shipping to his consumers within the first year and a half. For a young company that is only 4 years old, i2u2 is doing exceedingly well. 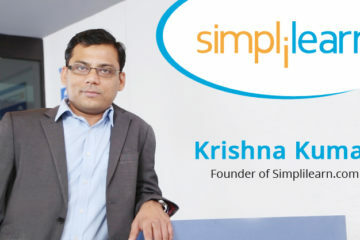 “We have started shipping the product to our first 100 users in India. We are taking more pre-orders. The response has been amazing. Thanks to the feedback from our first set of users, we already have enhancements ready for the next batch, both in hardware and software”, says the founder. After the prototype for the robot was ready the founder also enrolled the company into the DELL Startup Challenge. The company won the same and it really cannoned the i2u2 into what it was set out to be. The company now wants to make the tech on the robot better and more user-friendly to keep it up to date with the technology. “We are experimenting with upcoming technologies, making iterations to improve the quality and user experience. We are also constantly talking to our customers to get their feedback, attending meetups to meet geeks, business experts and stay abreast with the latest technological happenings,” says the co-founder. The team also now plans to integrate the i2u2 with home security solutions, special elderly care apps, and have a more natural and non-intrusive appearance. 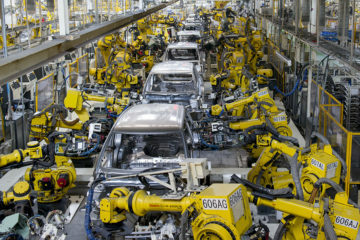 While currently, the robot is just 2 blocks on top of each mother measuring 2 feet in height, the company wants to make the design more modular. For all of the developments on the robot, the team needs to be an optimum mix of people which is what the founders want to focus on. They want coders, engineers and robotics experts but along with this they also want designers and artists who will lend a better user experience to the whole project. Transitioning the whole piece from just a robot to a proper rendition of a human is a tough hill to climb on. 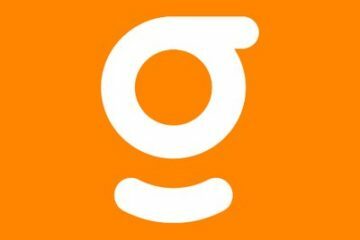 Despite their current success the company wants to push more. “Being ‘better’ is just not good enough. You have to aim to be the best,” says Aman. Previous ArticleWhy Cryptocurrencies are the next big thing?